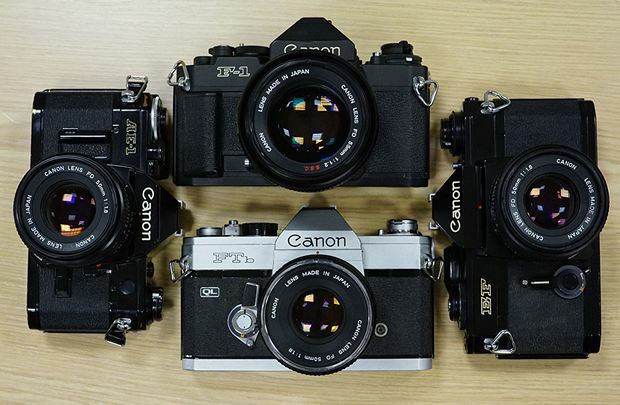 In this article Dan K follows up on his popular article Dan K’s Top 10 SLRs [https://www.japancamerahunter.com/2013/06/dan-ks-top-10-manual-film-slrs/]. This time, he explores the cameras that are unappreciated by collectors and neglected most reviewers, but remain outstanding choices for the budget-minded enthusiast. It is easy to come up with a list of ‘camera legends’. Whether they sold in the millions, or were made by the handful, they were so revolutionary, high spec, or culturally significant that they remain widely discussed decades after they ceased production. However, I have always been fascinated by the unsung heroes. These are cameras that don’t make it into the top ten lists and but are cherished those with hands on experience. Maybe you had a camera years ago that you really bonded with, that you may have lost, gave away, or traded in for an upgrade, but you never found another that made you quite as happy? THAT’s the sort of camera I’m talking about. 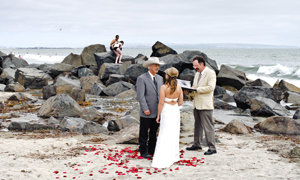 Sometimes it’s an irrational sentimental reason, but there really were some great cameras that today’s photographer will still find rewarding. Although I love to collect cameras, photography has become a lifestyle. I carry a camera on me at all times, as I like to take strangers’ portraits and tell the story of the streets of Hong Kong. Therefore, I usually prefer a small camera, which is lighter to carry and less imposing and less ‘professional looking’. I prefer to focus manually and I require an easy to focus screen and as high a magnification finder as possible. I dislike the whirring of a motor winder; a discreet lever advance is better. Given the fast snapshots that I take, auto exposure is useful, and I prefer aperture priority. Other times, I find a solid mechanical camera with fully manual exposure to be refreshing. These cameras tend to be older and come from an era where reliability and bright, high magnification finders were of a high priority. This kind of SLR takes me back to basics. It makes me slow down and think about exposure and film latitude. Manual exposure remedies the mental slackness that comes from operating a more modern film or digital camera. I would recommend a camera like this if you are rediscovering film and fancy a bit of a challenge. My early photography was done with a camera that didn’t even have a meter. It taught me more than a whole series of seminars. One thing it taught me was that although I can do without one, I do prefer a meter! A simple centre-weighted meter takes the guesswork out, even if it’s not coupled to give auto exposure. Either of these combinations of features are shared by some of the most sought-after cameras ever sold, costing hundreds of dollars. However, let me introduce you to a few prime examples overlooked by collectors that will likely set you back under a hundred dollars. The prices I have listed is what I’d expect to pay for a working and undamaged camera in less than mint condition and without a lens. 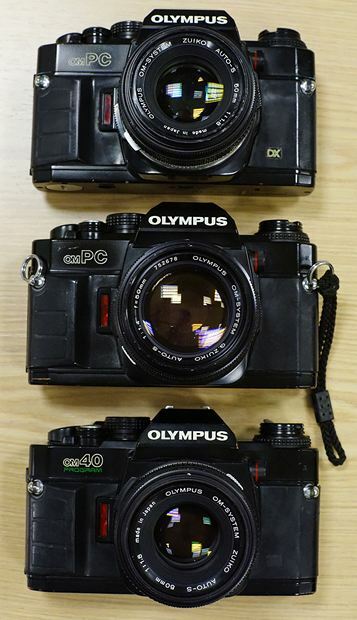 The Olympus OM system earned cult-like popularity for its small cameras and sharp lenses. With their bright, high-magnification, high coverage viewfinders, they are some of the easiest to manually-focus SLRs available to this day. If you ask around for recommendations, you’ll be directed to the more expensive ‘professional grade’ series: OM-1, OM-2/2n, OM-3 and OM-4. Almost everybody tells you to avoid the cheap, ‘consumer grade’ bodies with double digit model numbers. That’s reasonably smart advice, with the notable exception of the youngest model, the OM-40. Olympus OM-40/OM-PC ($50). This body mounts all the same lenses and system components, but retains the same quality viewfinder and the creative exposure modes (Program and Aperture Priority with exposure compensation, plus full metered manual exposure). The camera also offers either centre-weighted metering or ESP (“Electro Selective Pattern”) which helps to compensate for back-light situations automatically. This is a feature not even available on the flagship models. I think that Minolta is the system that offers the best combination of good optics and camera bodies with great finders and an appropriate balance of automation and quality on a tight budget. Minolta XE/XE-7 ($75). 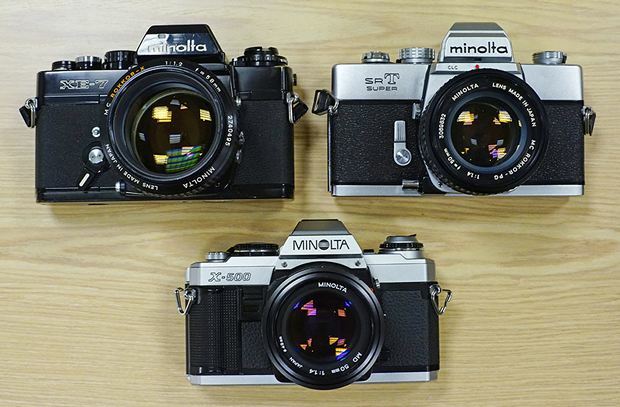 Minolta’s most famous and most collectible cameras are the professional SRT, XK and XM series. They are lovely but I find them to be big and heavy for everyday photography. I prefer the well-made but smaller XD and XE which were co-developed with Leica. 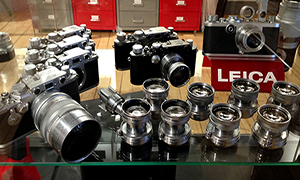 Leica launched similar bodies (the R4 and R3 respectively) to mount the Leica R lenses. The XD and XE are far cheaper and mount the more affordable MD/MC lenses. Today, the versatile XD with shutter priority is more sought after, but I prefer the largely ignored but elegant XE. It is heaven to hold, a pleasure to use and light on the wallet. Minolta X-500/X-570 ($65). Minolta went on to cheapen their product line with the XG and further broadened their customer base with the high-tech, light weight and compact X-700, which offers program mode and shutter priority. The X-700 was one of the bestselling cameras of the 1980s. They went on and on, stripping non-core features with the X-500 and X-300. As is often the case with cameras, stripping features can actually add to the ease of use, making for a better user camera. I feel Minolta hit the sweet spot dead centre with the X-500. The X-500 is one of my all-time favourite user cameras. With a magnification of 0.9x and coverage of 95%, the finder is on a par with even a very clean example of an OM-2, a camera famous for its ease of focus. Used with a normal lens and both eyes open, the camera almost fades from view leaving a black frame line around your subject. Feature-wise, the X-500 lacks program and shutter priority modes, but retains aperture priority auto exposure with exposure compensation and AE lock and adds a fully metered manual mode that shows both the selected shutter speed and the metered shutter speed. The camera even meters correctly when the DoF preview button is pressed. The flash system is capable of slow sync and can be used at any aperture. The X-500 is part of an extensive system of lenses and accessories; it even takes a 3.5 frames per second motor drive. The X-500 is just about as good as it gets, yet sells for junk prices. Minolta SRT-102/SRT Super ($80). My favourite budget mechanical body that uses MC/MD lenses is the SRT-102. It is a formerly professional body with a big bright finder that displays chosen aperture and shutter speed along with exposure in the finder. Most Canon FD lenses are fairly good and don’t cost much. However, the only lenses in the FD system that I would consider excellent are the professional-grade ‘L-lenses’. Unfortunately, those are far out of the reach of anyone on a tight budget. The remaining lenses are serviceable, but I haven’t any that I consider inspiring. Canon AE-1 ($70). I used to use an AE-1 Program, a great camera that many people learned on in the 1980s and even 1990s. However, the shutter noise drove me to the brink of madness. It makes a “pew-pew” noise like a laser blaster from the Star-Wars movies. The AE-1 (non-program) lacks only the Program mode and sounds like a regular SLR. It is shutter priority though, so I’d use it in metered-manual exposure mode. Canon EF ($75). The EF is another excellent, though relatively unknown Canon camera. Perhaps it doesn’t help that it’s easily confused the Canon’s later (EOS) EF mount. Make no mistake, this is a manual-focus FD mount camera. In fact, it is essentially Canon’s rugged, top of the line F-1 but with a consistent vertical travel electronic shutter. It does lose a couple of important features that marks it as less than a professional camera, lacking an interchangeable finder and the facility to take a motor winder. Not that I have ever bought an alternate finder or a motor drive for my F-1. My EF has a big bright finder with a split image surrounded by a micro prism ring. If you like the F-1, you as well might consider buying the EF instead and save your money for better glass. 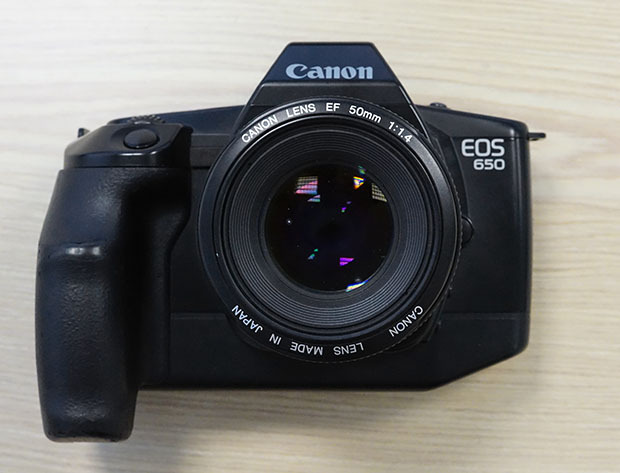 Canon FTb ($60). If you prefer a mechanical camera, the FTb is another consumer version of the F-1. It is tough and rugged, but with no exposure information in the display and a circle-and-needle style of light meter. Canon EOS 620 ($30). I actually own the EOS 650 (pictured above), Canon’s first model in its successful modern EOS line, but the similar EOS 620 was released just two months later and adds some lesser-used features that are worth having, considering they’re both only cost about $20-$30. Yes, it’s motor-advanced and auto-focus, but it is an inexpensive way to add film capability to an existing EOS DSLR system. While the biggest reason why someone might consider an early EOS body is they’ll work perfectly with Canon EF mount autofocus lenses, with a suitable adaptor ring, they will also work with Leica R, Nikon F, Minolta MD, M42, and various MF lenses. This is one way to have one body but open yourself up to using lenses from many makers in many mounts. If this is your plan, I’ll warn that some lenses, such as Leica M and Canon’s own FD mount lenses, aren’t mountable with a simple adaptor, and most EOS finder screens have neither split image, nor micro prisms and their ground glass can’t show the depth of field narrower than f/4, so they aren’t easy to focus manually. Nevertheless, a Canon DSLR user couldn’t ask for an easier camera to transition to. I also have an EOS 1V-HS and once owned an EOS 3, but unless I was planning to photograph sports, I always reach for my EOS 650 because it’s small and light and gets the job done. I’d look for these in bargain bins or at flea markets, only because the postage may cost more than the camera. Of all the manual focus lens systems that I own, I’ve invested most in Nikon lenses. They offer a very complete system with optics in the same league as Leica R and Contax. There are lenses in this series at all price points. Nikon EM ($50). The EM was marketed as an entry-level camera and while it looks cheap and plasticy, it’s really a robust and capable body with a high magnification finder. The smallest and lightest Nikon F-mount body, it pairs well with the 50mm 1:1.8 Series E plastic pancake, a lens that performs far above its low price point. Together they slip into my hip pocket but the speed of operation and the images they produce are a match for even my FM3A and 45mm/2.8P. The price difference is an order of magnitude. Nikon stripped the feature set to its bare bones, but if you know a few tricks, there is not much you can’t do. It still has a shutter speed range of 1s to 1/1000s, plus Bulb and a battery-independent mechanical back-up speed/ flash X-sync of 1/90 second. With the batteries removed, ‘Auto’ mode fires at a fixed speed 1/1000s, so without batteries you still have two manual speeds (one slow, one fast). For what is otherwise a full-time AE, an EV compensation dial would have been helpful, but there are at least three work-arounds: (1) a +2 stops backlight-busting button (2) you can alter the film speed setting and (3) use M90 speed and adjust the exposure with the aperture dial. 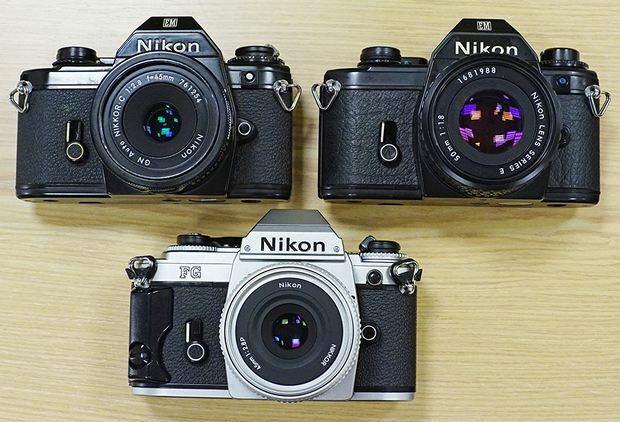 The finder and screen won’t equal the outstanding Nikon F1 or F2, but it’s comparable to a F3, FM and FM3A. In summary, you won’t find a smaller, simpler, or cheaper body that mounts AI lenses, but it kept everything that matters on a Nikon camera. Nikon FG ($100). The FG is the EM’s successor, and represents a major upgrade, with program mode and fully metered manual at all speeds from 1s to 1/1000s and +/-2 stops of exposure compensation in half stops in addition to the EM’s +2stop backlight button. However, at around $70-$100, it’s more than twice the market price of an EM and you could almost have an FE or even an FM for the money. 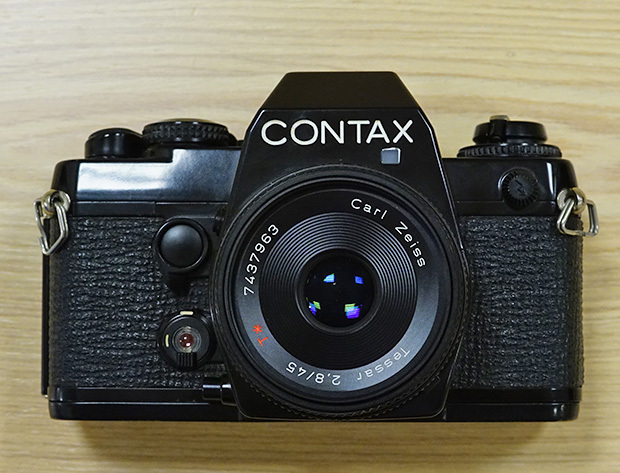 Contax made some of the most deservedly lauded manual focus lenses in the history of photography. The lenses can be expensive, but you can buy cheaper Yashica lenses and build them around one or two top-rate portrait lenses. Note that of all the camera brands shown here, a Contax is the least likely to have a free lens bundled with a body. The lens pictured below cost me $360 and it’s considered one of the cheaper Contax lenses. Yashica FX-3 Super ($90). C/Y stands for Contax/Yashica and the two brands are sisters. The Yashica FX-3 is a basic SLR with a simple +/O/- meter, but without the Contax brand cachet. It reminds me of a Nikon FM2 in many ways: it has a low vibration, fully mechanical vertical travel metal shutter and split prism focussing. Of course it’s all plastic, so it’s not built like an FM. Unusual for a camera of this class, it offers mirror lock up. Also consider the FX-3 Super which activates the meter through a half press of the shutter release, or the FX-3 Super 2000, which extends the maximum shutter speed to 1/2000s. The Super 2000 is most sought after, but the middle model is a good user. I have had some trouble getting a Super 2000 to work with earlier Yashica C/Y mount lenses, so be sure to try out lens and body combinations before buying. I have not experienced this problem with Contax bodies. Contax 139Q ($90). I’m not a huge fan of Contax bodies, at least the top models. I find them big and heavy and dominated by technology, for example the RTSIII with vacuum ceramic back plate and the incredible AX that autofocuses with manual lenses. My favourite is the mechanical S2/S2b, but that hardly qualifies as a cheap body. The 137MA, 137MD and 167MT are cheap enough, but are motor-advanced. My favourite Contax body at any price is the 139Q. Pentax made highly regarded lenses and jewel-like small camera bodies; I own a MX, LX and ME Super, but these are over budget. However, there are a few models available at a modest budget. Pentax K-1000 ($60). By comparison to the smaller Pentax models, K-1000 is a WWII-era Soviet tank, but like a T-34, it’s loved most of its users. A mechanical camera with minimal controls and a simple meter, it just does what it is supposed to; nothing more, nothing less. Pentax MG ($60). The K-1000 is popular, but if I am to carry a camera around with me, I’d want something small and lightweight. The MG fits the bill. It’s not too dissimilar to my much more expensive MX or ME Super. However, cost savings were made by severely stripping the camera’s capabilities. Unlike the MX, the MG has an electronic vertical travel shutter. Unlike the ME, the MG’s slowest shutter speed is 1s. The biggest handicap is that the user can only select between Aperture priority auto exposure, fixed 1/100s manual exposure and bulb. It’s not a big handicap it you’re a fan of Pentax lenses and an all-metal body, but I personally prefer the cheaper Nikon EM if this is the style of camera operation is what you want. M42 screw-mount lenses are a great choice for someone looking to build up a bag of three or four high quality prime lenses on a very tight budget. Many manufacturers have made lenses in M42 and while the lenses and cameras tend not to be the most modern, they can certainly take a great picture. Fujica ST-801 ($50). This camera has a fantastic high magnification finder. I’ve never seen brighter. Focus in low light is a breeze. The rest is simple and mechanical. It shows shutter speed and LED meter in the finder, but there is no auto exposure. Fujinon EBC lenses are my favourites and you don’t even need to do stop-down metering when used in combination with a Fujica body. The ST-801’s top shutter speed is a fast 1/2000s, but the flash sync is slow at 1/60s. Pentax Spotmatic F ($50). The early model Spotmatic SP that I own has only a ground glass and micro prism spot for focussing and a darkened area to indicate the meter area and no exposure information in the finder, but I find it delightfully easy to use and very solidly built. Like the Fujica, it is a larger camera. By now, you’re probably overwhelmed by choices. If I have a personal favourite, it’s probably the Minolta X-500 shown in my self-portrait, but people’s financial circumstances and shooting preferences differ, so I recommend you first choose the lens system that suits your budget and expansion needs, then decide whether a mechanical camera, or an electronic body with auto exposure is best and finally try out the camera before spending your hard-earned money. If you still cannot decide, just buy anything on this list and one 50mm or 35mm lens and you can always sell on once you know what attributes you like and what you don’t. It’s better to have any old camera than none at all. This list, though long, is far from complete. Photographic history abounds with unsung heroes. Treat it as a starting point in your quest. I am sure readers have their own favourites that they can share with us in the comments below. For our collective education, please state the make and model and also why that particular camera stands out from the also-rans. Also, while I love a good SLR, there are other ways to enjoy 35mm photography. I will soon publish my articles on the topic of budget fixed lens rangefinders and compact cameras on Japan Camera Hunter; check back often! That’s a lot of nonsense about Canon FD lenses not being in the same league as Nikon; they’re easily equivalent in performance. They never made a bad 50 (except the extremely rare 50mm f2), their fast 35s are excellent (the NFD 35mm f2 is great as is the radioactive old 35 f2 with the concave front element), and their 85s may be the best of anyone’s. The NFD 85mm f1.8 is more compact and lighter than any other company’s offering and renders beautifully. As far as the wider angle lenses, the 28s I have are so-so, but the 24mm f2 and the 20mm f2.8 are great lenses. I demand a retraction! Thanks for your comment Colin. I’ll freely admit that my opinion about Canon FD lenses is based on only about 8 lenses ranging a cheap 50./1.8 to a mid-priced ($300) 55/1.2 SSC non-ASPH. It is based on my subjective feeling for the images they produce, compared to lenses from other systems. I actively use a almost dozen systems so while I have great breadth of experience, I don’t have detailed experience with all the lenses in every system, especially systems that haven’t produced results that I like in the past. Thanks for your recommendation to try the FD 85/1.8. I have the 85/1.2L in EF mount and it’s one of my favourite portrait lenses. I was considering buying the FD version to try out as well, but at $1,000 to $1,500, it requires quite a bit of investment and doesn’t really add to an article about budget cameras. As to others reading our exchange, bear in mind that opinions differ. I wouldn’t have included three Canon FD mount cameras in my list if I though they and their lenses weren’t serviceable and wouldn’t have 7 bodies and 8 lenses if I I didn’t enjoy using them. While I am prepared to keep an open mind, my preference for other lens systems remains. I have to add to Colin’s comments on the FD lenses. The 17/4 and 50/1.4 are very good indeed, I second the 35/2 first version and 85/1.8. My personal favourites are the 135/2.0 which is an amazing lens for the money it can be had for. Canon also made a couple of stellar zooms as well, the 20-35L & 80-200L are well known but the 28-85/4 and the 35-105/3.5 (72mm thread) are great lenses also. It’s a shame there was no way to make a glassless adapter to allow their use on DSLRs. Sounds like you’ve been reading a lot, but the fact is Canon or Nikon never made anything better than Minolta, Pentax, Fuji, Konica, or Olympus (strictly speaking of Japanese makers). While comments on FD lenses made here are a bit off the general consensus, too many of the others are routinely left out from high performance discussions. The upside of it being cheaper lenses that are often superior in all respects. Brilliant article. Thanks a lot! Thinking of getting a Nikon FG now. Small and pocketable sounds damn good. I’ll hold off until a budget rangefinder article pops up! 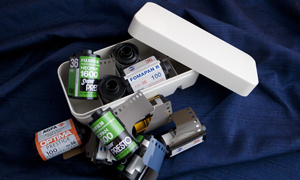 Yes, I would have liked to include Konica Autoreflex bodies, however I don’t yet own one. Konica lenses are readily available and mostly cheap and I head nothing but praise about them. However, I haven’t yet found a body and I’d need to spend some time getting familiar with the camera and lenses before I could include them in the list above. Unfortunately, I must move on and the next parts of the series will be about Unsung Heroes in the 70s Rangefinders and 80s/90s Compact Cameras. Tell us more here in the comments if you have time. Well, just got the camera not so long ago and shoot only half a roll of Natura 1600 (it was in my FE that broke down while shooting and swap the film to the konica). Another roll almost done, looking forward to see it. Reputation of the Hexanon is well know, I can`t really add much to it, it is really sharp even wide open. 40mm is a nice focal lenghts, not too wide, not too short. What I really love of this lens is the focus, is not too smooth, i can focus very fast and in very accurate way even in low light conditions or with moving subject (for example, my nikon 50mm 1.4 is so smooth that sometime is difficult to control and have to readjust missing the moment). The most horrible thing of the body is reading the information in the viewfinder which are really hard to see in low light, that is a pain. It has an aperture priority mode (Auto) or full manual control, which it works well for me. The shutter is quite noisy but at the same time has a rewarding sound. Sorry, those are just first impressions, I include a link to this small set of shots I got from the first roll. have a look if you want. I have a crush on Konica lens for sure, the C35 and the FD (talking about rangefinders) are really wonderfull (also some sets with those two cameras if you whish to have a look). Well, thanks again and I am looking forward to hear your opinion on the Konica SLR when you will own one! I have several Konica SLRs. 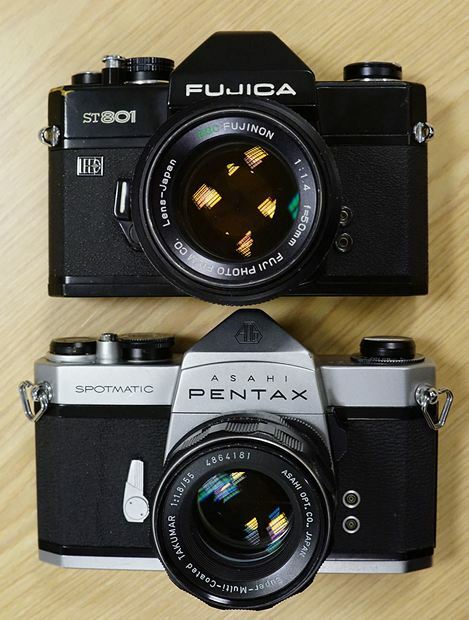 My favorite is the oldest: the original Auto-Reflex with the half-frame/full-frame switch. It’s the P model without the meter. Believe it or not, this camera has a brighter viewfinder and is easier to focus than any of their cameras up to the FT-1. The entire T/T-3 line have very dark, difficult to use finders. The FT-1 is a great camera with an excellent, accurate and unique metering system and a very quiet motor drive for a 1980s motor drive SLR. It also has a very bright and easy to use finder. I don’t really like its plasticky controls, which contrast with the nicely made metal body, but it’s a great camera. I’m a fan of the Konica AR system as well. The T-4 is my main 35mm body. The 28mm 3.5 is quite nice on the wide end. The 40mm 1.8 is very compact and sharp. Focus ring on mine is a little stiff though. I really enjoy the 55mm 3.5 macro. Sharp. The 57mm 1.4 isn’t particularly sharp wide open, but stopped down a bit (2.4-2.8?) it is very nice, I love the way it renders. The 100 2.8 is nice and sharp, and I think it handles really well. Relatively compact too. The 200mm 3.5 is sharp too. It’s pretty massive in comparison to the others but when I do use it, the images produced are nice. Great article – coincidently I just received a K1000 with SMC 50mm f2.0 lens today! This was my very first camera and I thought it would be fun to show my kids. My father bought it for me for $199 from The Bay in Toronto. Hoping to buy an MX on eBay over the weekend. Cheap fun! 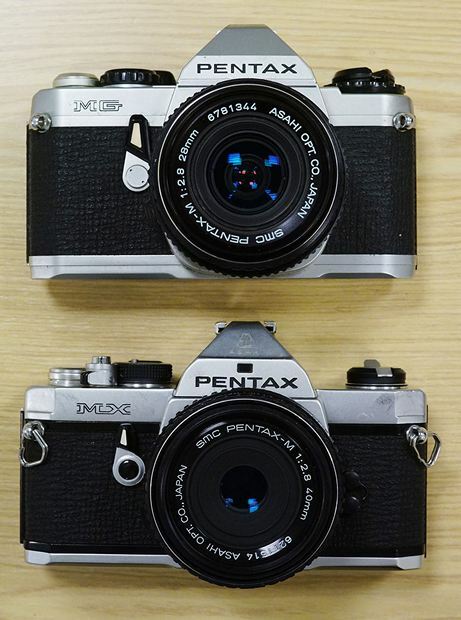 Now the oldies collection has some Leicas, Nikon F3 and my original brand, Pentax. I won’t buy all my old cameras back but it’s fun to get some of the cheaper ones. Good on you for mentioning the Fujica screw mount cameras. I have an ST 605N that I picked up in mint condition on eBay for $15. I love everything about it: bright screen/viewfinder, better stopdown metering button position than the Pentax Spotmatics, very lightweight and small. Great article, as ever, by Dan K.
I expect part 2 will feature my favourites: “point and shoot” cameras. I still find SLRs take too long to operate to make effective “street” cameras. Maybe I’m just particularly slow. Always nice to see from love for the EM, I still use mine as much as I can although it’s ready for a new set of light seals. No love for Ricoh bodies? How about a Miranda or Topcon? I’ve looked for an XR-7 or XR-P, but didn’t find one. I know little about Miranda and Topcon. Please tell us more. I am particularly specifying the Ricoh Singlex TLS. Me and my brother have four one being the TLS 401 and the other a black Sears TLS version. Its an M42 mount with match needle exposure meter. Its Rikenon lens produce good results and the camera and body are commonly priced around $30 and up. It is a bit heavy 720g (body) but you could not mistake that it is well built. I do like my Ricoh Singlex TLS, but the Rikenon 55mm 1.4 that came with it is amazing. Definitely one of my best $1 camera finds! Very usefull article. It’s not easy to test differnt cameras to choose the one is good for you. I’m a Nikon user from day one. What I look for in a camera are reliability, viewfinder brightness, easy to find commands, good lenses at possible prices. I like the view inside my Nikon F2 but it is too bulky and slow with its photomic; FE2 and FM2 have brighter finders and have perfect portability. I like simple Pentax as the SV and the Spotmatic (I have the F model), finders are ok, maybe a little bit cramped compared to others and with a color deviation to green (I think due to aging of the glass), Takumar lense are a real pleasure to use with their silky smooth focusing, crisp aperture dial and high quality image rendition. I bought a Koinca Autoreflex T3 few days ago (well, I was looking at the “T” but then I won the T3 paired with a mint Hexanon 35/2.8); I really like camera’s sturdiness, construction and dials action and position but the finder is absolutely dark compared to Nikons and Pentaxes. Olympus are on my wishlist for my next business trip to Japan. 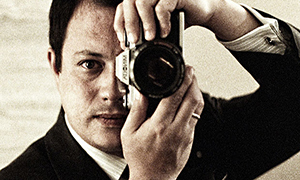 After your review I think I will look for some Minoltas and Fujicas as well. No avoiding the vulnerability of Minolta X-5xx/X-700 to fatal strokes when their crappy electronics die. 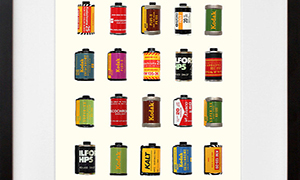 Bum capacitors are a baked-in defect that affected many of these cameras. Simply declaring “Mine’s OK,” doesn’t explain away this age-related malady. Had 3 X-700s over the last 5 years and all died. Bad luck? Hardly. I’d like to like them but none of my same vintage Nikon bodies(e.g., FE +FG)have ever failed. Glad I have an SRT 101. Yes, electronic cameras are generally irreparable when their electronics fail, because replacement electronic boards are unavailable and many traditional repair people aren’t trained to trace and replace failed electronic components. 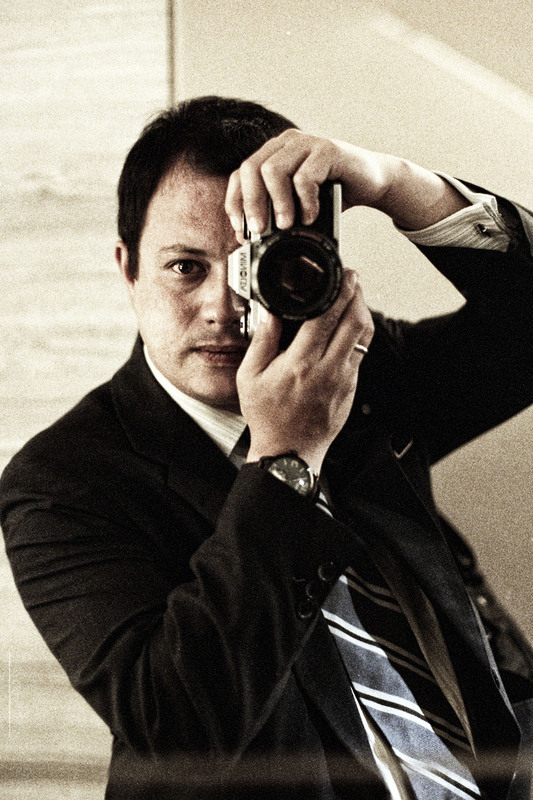 For this reason, many electronic cameras sell for significantly less than mechanical cameras. However, I have had some failed mechanical cameras and the repair cost was more than the cost of a new electronic camera, so I wouldn’t necessarily advise people to stick to mechanicals. Nevertheless, I have included several mechanical cameras in the list above to suit people with a preference for mechanical cameras. Personally, I often prefer electronic cameras because they offer automatic exposure, rather than a meter. Regarding the reliability of the electronic Minoltas, I have owned two X-700s and an X-500. If I remember right, I offloaded one X-700 due to what I considered was unreliable winding (a mechanical problem). The buyer was informed before purchase and considered it a non problem. I have had no other problem. Maybe it’s just poor luck, but I have had considerably less luck with OMs (one OM-PC, one OM-2n and a OM-4Ti became faulty beyond repair) and PKs (a ME Super died after one roll of film and one MG also went, but may be easily repairable). Considering the age of these cameras and Hong Kong’s high humidity, that’s pretty good going considering the number of cameras that I own. The ones pictured in this article are less than half the SLRs that I own. 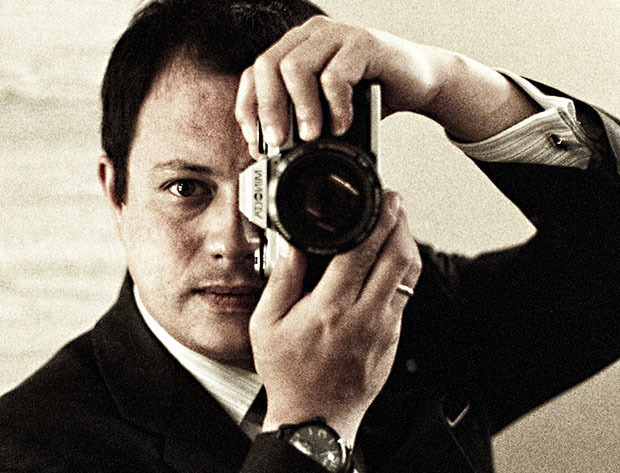 I agree your Rating of the Minolta XE, thats a fine piece of metal with very soft Mechanics and great Lenses. My favorite Camera and one of the best i ever had. I bought my EOS 620 for $40 shipped, in almost mint condition. Love it to this day. What Dan forgot to mention here is that its finder is possibly the biggest ever on EOS cameras (0.8x), even bigger than today’s EOS 5D III or 1DX. Sure, finder is quite limited for interchangeability, but the default one is already quite crisp and clear. I’m only using EF lenses so this is not an issue. Some people might think that 1 AF point is ‘not enough,’ but hey it’s so accurate, and I’d rather have one fast and accurate AF rather than 7-AF points that are inaccurate (the case with many Rebel and Elan series, in my experience). Some remarks on your comments on the Canon FD-bodies: First of all your AE-1program obviously suffered from the famous shutter squeak, which is a big, not a feature and can be cured with little effort. There a some instructions for that on the web. Secondly the EF is by no means a fairly unknown camera, it was a highlight in its day, in particular for its hybrid shutter technology, meaning that only the long shutter times are controlled electronically while the short ones work mechanically. Thirdly, the later models of the FTb offer the display of the shutter time in the viewfinder. They are known as FTb (N)-models. Nice article got me to think about some cameras I had not previously. I will say X700 (which I have ) prices have fallen a lot recently so one might not be limited by cost . and XD models are notorious for problems that are difficult to fix. If your AE-1 goes “Pew-Pew” then you have the infamous “shutter squeek”. Oil it up and it just klicks like a mechanical angel. Albeit loud as heck. Great article Dan..like you, I’ve settled on the X570 with the XD11 as a close second… But what is giving my X570 an active second life are the wonderful Rokkor lenses that I am also able to use on the Sony full frame digital A7r. There is something very satisfying about creating images with the A7r and the X570 while sharing a bag of great Rokkors (MC21 2.8, MD35 1.8, MC58 1.2, MD85 2.0, ATR 100 2.0 and MD200 4) . Minolta X-570 was released shortly after the X-700 and it’s actually better than that. It doesn’t have program mode but in everything else it’s superior to its predecessor. The numbers are confusing but it was released only in the US, that’s why it’s not x-770 or something else. I’d like to add one nominee under the Nikon column: the N2000/F-301. There a little bigger than the ME and FG but you add a high speed program mode, 1/2000 second shutter speed, DX film coding, and built in winder capable of 3 frames a second. You can buy them regularly for under $40 USD. An interesting artical. I love my Contax 139 and have had it from new. It became hesitant when the shutter release was pressed so I had it overhauled. The firm (Sendean) made a superb job, but it cost just under £300. I think the sharpest lens on any of my cameras is the standard lens on a Contarex Bullseye. That really is a big heavy camera, but on a 20 by 16 enlargement it is pin sharp. Some of the old Contaflex lenses (Tessars) are also pretty good lenses and very cheap. I recently got a Olympus OM-1n and absolutely love it. I’ve been obsessed with rangefinders and zone focusers over the last few years so it’s the first SLR I’ve bought in a long time. It came with a 50mm 1.4 lens and I was amazed by how sharp it is. I intend to use it primarily for taking portraits since I’ve gotten really used to carrying around only small cameras like my XA2, Canonet QL17 and Trip 35. I want to get an 85mm lens for it, has anyone used this one? Uh the Pentax ME Super is not that expensive. I got mine in good condition for 35 dollars. Thought it is my least reliable camera, only 95% reliable. The shutter gets stuck for no reason a few times and i would have to waste a frame or 2. Still my favorite camera. I too have a Minolta X-570, bought new-ish (shop demo) in 1981 or so. I wish I had considered Sony for the DSLR, but my budget didn’t allow for that. So I opted for a Pentax K-3–cheapest DSLR I could find. My X-570 came only with a damaged Rokkor 50mm f/1.7 lens (rattle-y; had likely been dropped in the shop), so I never got to make good use of the camera … until 3 years ago when I bought a couple of longer lenses and dedicated flashes (no more of my fails with the Vivitar guess flash). Unfortunately, that’s just when the film stock dried up in my town. So it’s not getting much use. But I will eventually get film and give it a real workout. Somehow though I always assumed the camera was not great due to an off-on switch that frequently failed and the aforementioned rattle lens (the rattle didn’t affect the photos, but it didn’t make me feel confident). Great article and I enjoyed reading the comments too. As a dedicated Canon FD user 3 lenses stand out: 50/1.4, 20-35L/3.5, and the 80-200/4.0 (non-L version), however, given the choice between Nikon, Canon and Minolta, I have to admit Minolta offers the best compromise of performance, value for money, and serviceability. As other posters have mentioned Konica AR system is often overlooked. the T3 viewfinder is a bit small, but a T3 or T3N with a 50/1.7 is a formidable combination. The Contax 139Q is very beautiful from the front. It shares a similar silhouette to my Pentax LX. I’ve always been interested in the Contax 159 and enjoy my RTS. I have added to my “future 35mm purchase” list so I don’t forget to keep an eye out. Hey, you know the AE-1 Program is not supposed to sound like that. The “pew-pew” is called shutter squeak and it’s caused by lubrication drying up in the mirror return mechanism – a common problem with the AE-1 Program. Apparently it has something to do with the gears being plastic and the type of lube they used not being super great. A drop of oil sorts that out instantly (I mean completely, totally, instantly. It’s scary). In fact, I just did this to my AE-1P and you can see a video of it sounding like it’s supposed to on my Instagram (@dustinhernphoto). I actually kind of miss that high pitch chirping sound. It never drove me crazy – I actually think it’s kind of unique and the camera’s sound seems a bit louder and harsher now. Eh, different strokes for different folks. So a JIS no.00 screwdriver and some 3-in-1 oil are all you need to make your AE-1P sound like a regular SLR. Surprised that Mirandas were not featured as one can get cheap F models, ( they were reported to be the poor mans Nikon). No mention of Nikkormats, Edixa (poor quality control), Prakticas ( VEB: inc. Jenaflex, praktiflex and others ), Mamiyas (soft lenses), Petris (understandably), Zenit (lenses used Zeiss glass – my first SLR badged as Prinzflex 500. Helios lenses good for black and white), Cosina who made models for just about everyone, inc.: Nikon, Canon, Vivitar, Yashica, Edixa, Sigma and Olympus, etc. Most unforgivable though are the Chinons. My 2nd SLR was a CE-5 as few cameras had 1/2000 sec. and all the other features in 1983 at an affordable price. I learnt with many others types of camera that used the lens caps as the shutter and still have some repro jobs I used as a freelance commercial artist from ’69 – mid 90s when the Mac and software made most of us redundant. In both publishing and advertisng Nikon was King, but then a lot of plate cameras and 120 Hasselblads, Mamiyas and others were more often used in studios. I use Pentax dslr nowadays because of the many PK fit lenses in my old 35mm SLR collection of over 300 slrs. Cameras are rather like guitars as good players can get away with using anymake, even a Kodak brownie. At 70, in May, I’m still learning both.